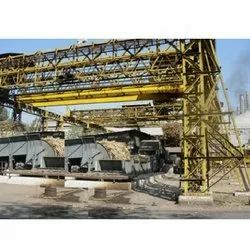 Owing to our years of experience in this field we are dedicated towards offering large variety of Sugar Mill Machine. This is sturdy in structure and made up of using quality range of material. - Element Control, Cascade PID control with Man Machine Interface and Graphical representation. For Baggase fired Boilers. Established in 1933, Modi Sugar Mills laid the foundation of Umesh Modi Group. Located in Modi Nagar, Uttar Pradesh, it had an initial capacity of 500 tonnes of cane crushing per day (TCD) to manufacture plantation white sugar or crystal sugar, as popularly termed. Today, the capacity has grown to 5000 TCD. Mill house are critical components used in sugar industry. We present the best quality mill housing pins strictly confirming to the dimensional & structural tolerance. They are accessible in customized specification as well. Close tolerances are maintained throughout the length of the job.